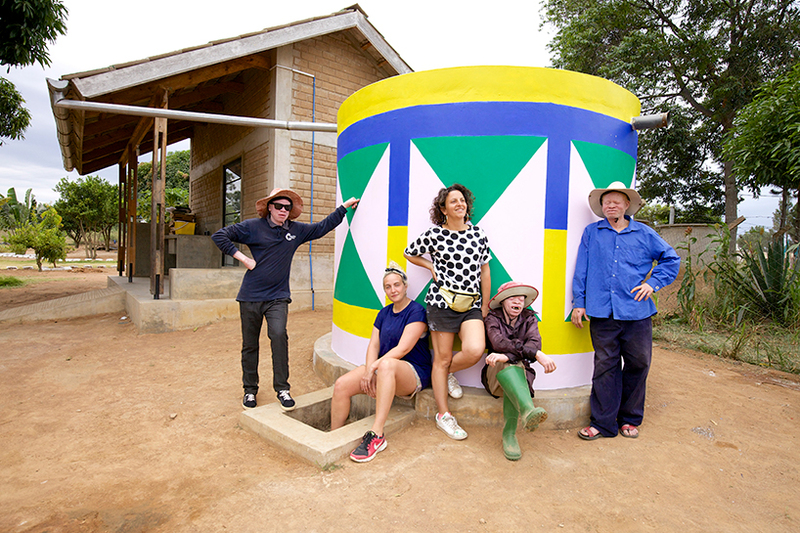 camille walala, julia jomaa inject positivity at community center in tanzania. 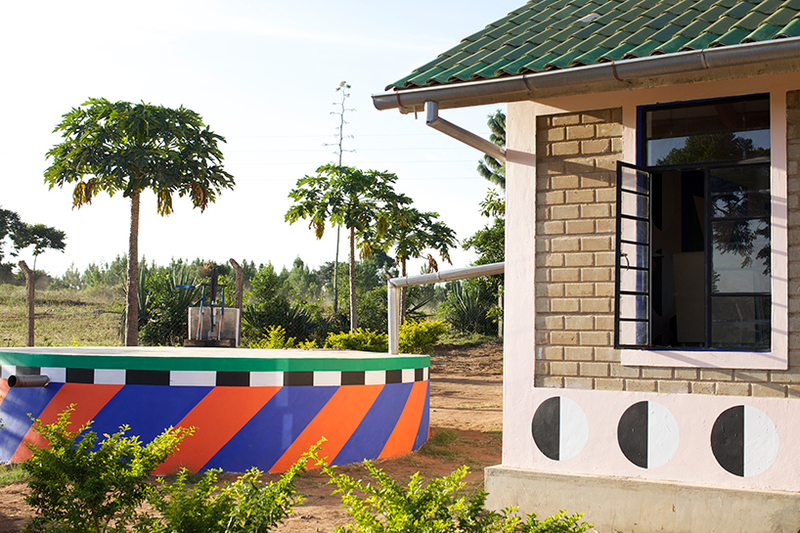 architecture in tanzania surveys the contemporary condition of the country’s built environment, showcasing a range of innovative projects and the diverse materials and unconventional forms employed in their construction. 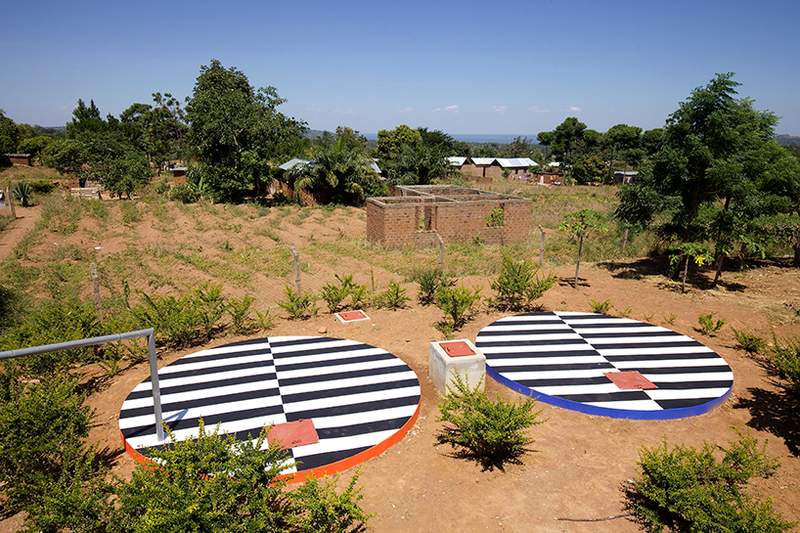 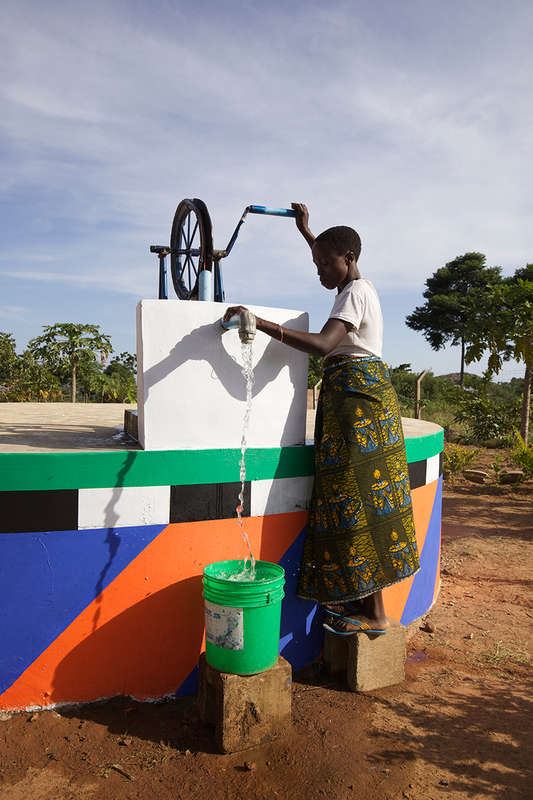 in june 2018, artists camille walala and her long time collaborator julia jomaa, traveled to the umoja training centre (UTC) on lake victoria, tanzania, to ‘give the [community] a new injection of positivity,‘ with four new art installments. 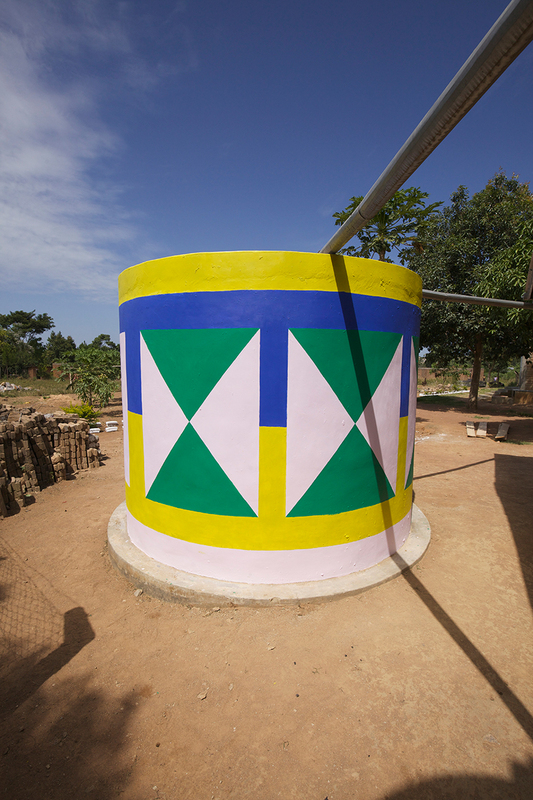 through the two time lapse movies, viewers can see some of work walala and jomaa completed. 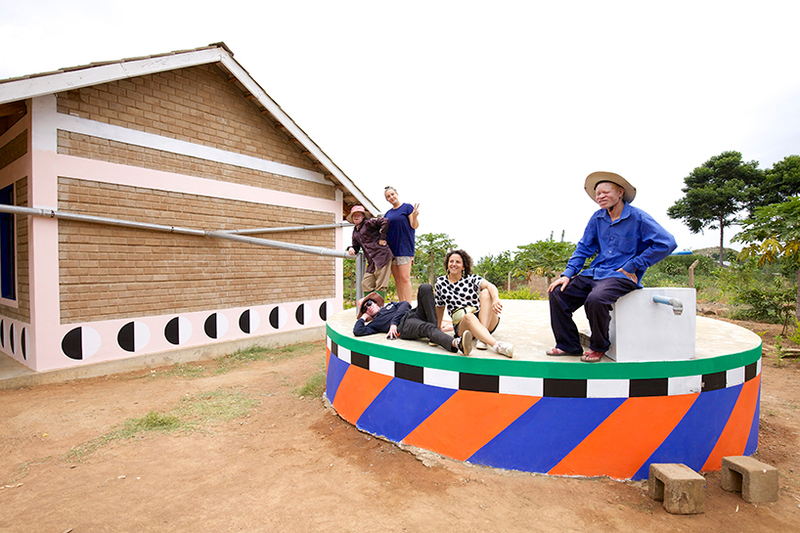 in total, the two painted four key installments: the main entrance sign, the concrete water tanks that are used by the center and surrounding villages, the new radio room where the ukerewe young reporters group records and broadcasts, and part of the new library, which is currently receiving new desks and shelves from designer and fabricator simon sawyer. 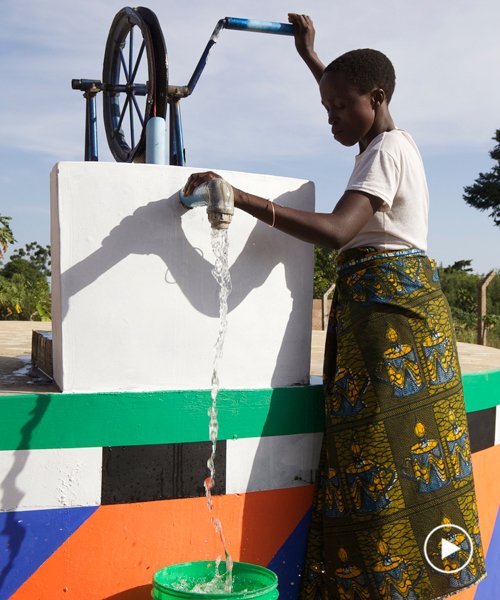 Wonderful work everyone – I can ‘feel’ the life, energy and determination in these wonderful images and video.